After Elements of Light in 2013 with The Bell Laboratory, a symphony for electronics , carillons and melodic percussion, Hendrik Weber goes on to new territories, he created a formation of three musicians and performers including himself being named after a powerstructure “the triad” to be able to perform his solo production in a more organic and open playfull way. in 2014 “the triad” premiered their live electronic organism during a three-months residency at Villa Aurora in pacific palisades, california.This new Pantha du Prince project is the result of a collaboration with his long-term friend Scott Mou (half of the duo Jane, with Panda Bear) and Bendik Hovik Kjeldsberg, norwegian drummer and composer. together they form an audiovisual universe, a minimal psychedelic experience for the listener and viewer. the voice of scott mou and hendrik weber will be featured during their stream of otherwordly sounds and sonic movements. the electro heavy tunes are based on techno and are made for a dance trip aswell as refined listening.pantha du prince feat. the triad are showing their unique transcending experience the first time in europe. 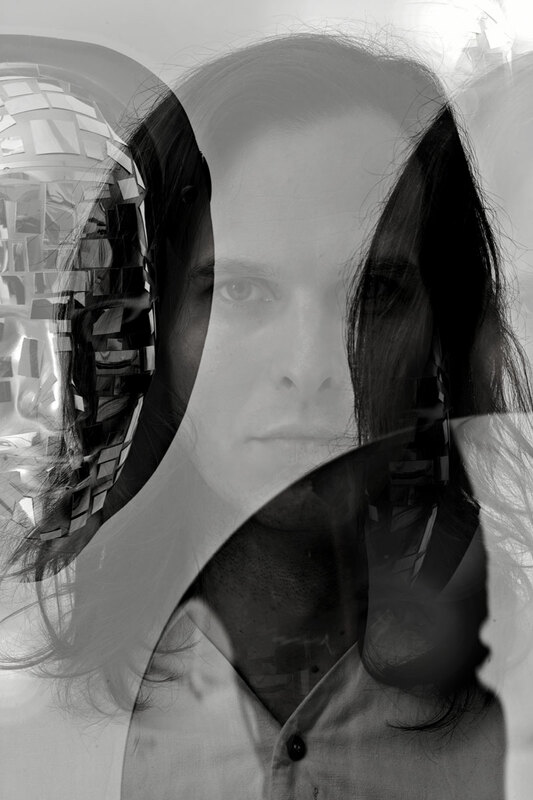 This project shows once more how Pantha du Prince is constantly transforming his approach to music performance and techniques of creation, visually, scenographically and musically. since his famous solo albums “diamond daze”,” this bliss” and “Black noise”, “the triad” will go one step forward and create a new way of music perception.